I used the frozen buttercream transfer method to create the pieces. I found pictures from Google and put them together like that in Photoshop, created the “Happy Birthday” shield, then flipped it all so it would turn out the right side up. 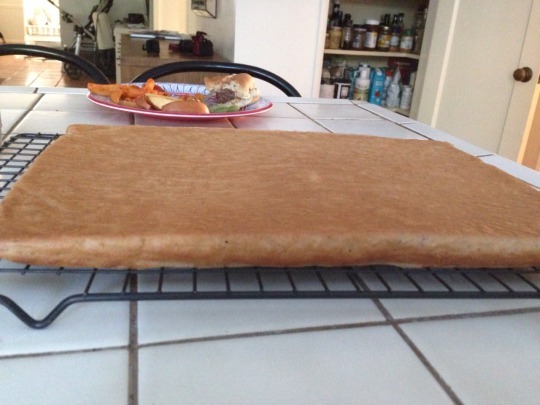 Once that was solved, and the cake was frosted, I pulled the tray from the freezer, flipped it over on top of the cake, and peeled off the parchment paper. All I had to do after that was add the smaller details and it was ready for the party. Making the cake this way was super simple and created some really nice decorations. Way better than it would’ve turned out had I tried to draw them all on with icing. 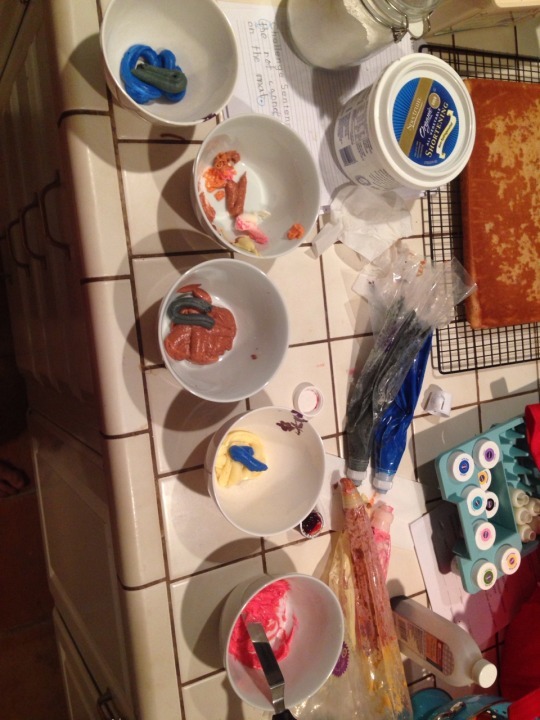 Have you ever used icing transfers? 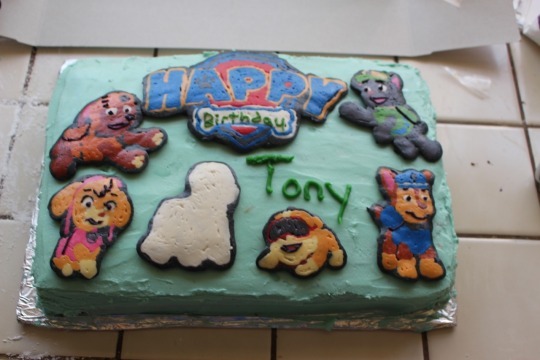 Do you bake birthday cakes, or just order them from the store? TO round out these posts abour June that have dragged on into mid-July, I brought cake. Well, pictures of cake. The actual cake has been gone for weeks. It’s Lord Vader, and he was delicious. I used this pan by Wilton to bake a chocolate cake, then covered it with black frosting according to the instructions included along with the pan. 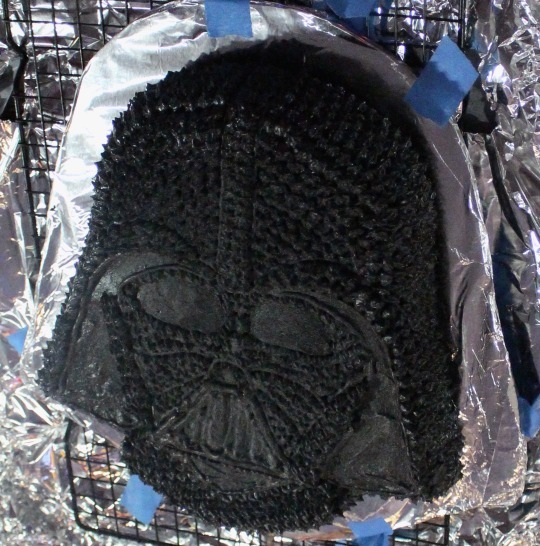 By the way, it took a whole canister of black frosting coloring to make it even this dark. And, of course, I forgot to get a cake box. Because I never write a list for the store. But I learned that it is actually quite easy to fashion one from a turkey roasting pan and a cookie rack. Just remember to tape the cake plate in place first. When this Nerdy Nummies episode came across my instagram feed, I immediately forwarded it to one of the birthday boys’ mamas. If you can remember, he’s obsessed with Baymax. So I thought those would be perfect for treats for his party. He’s also obsessed with Pokémon, so I thought I’d try to make a few of those. I figured out how to turn Baymax into Pikachu and made a Pokémon ball to make four different characters. One thing I changed from the tutorial was using popsicle sticks (well, all I could find was tongue depressors, but same concept) instead of the lollipop sticks. That’s because I was using regular not-Oreos that don’t come in the triple-stuffed variety. I think they might even work better in the triple-stuffed version. I also forgot to get styrofoam for drying, so I taped two cake boards together with plastic dixie cups between them for height. I cut slots for the sticks with a steak knife, then made it the right size by shoving a popsicle stick into each. These were super easy to make, and they taste really good. They were a hit at the party (and with my mom, who ate all of the test ones I made at her house). Remember how I told you there was a part 2 to the birthday gift from Monday?, and also how I procrastinated on it even more than the bubbles? See, his big gift this year was his first ever bicycle. But that is a thing that is most definitely going to outlast his Batman phase and most likely be handed down to his brother. So he got a bike with flames on it but, through a series of random circumstances saw a picture of it and said he would rather have a Batman bike. Ding ding, birthday gift idea! 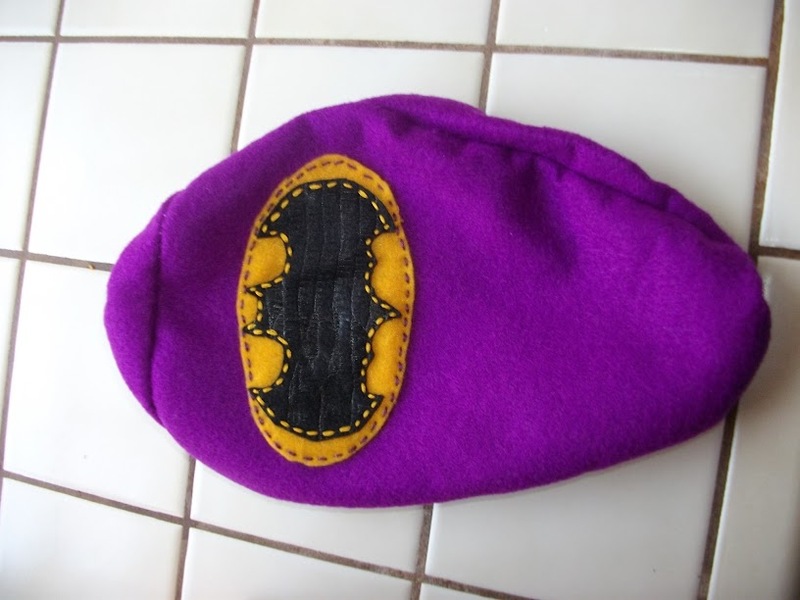 I had intended to measure the seat of his new bike (which he didn’t know he was getting yet) and all of that the day before his party so I could make a seat cover to give him the next day, but I never got around to it between laundry and lunchtime for baby brother. Luckily, I was set to stay with brother as he napped the next morning and everyone did things to get ready for the party. After everyone left I snuck in to where the bike was hidden, grabbed quick measurements and settled in at the dining room table to cut and sew a seat cover out of felt. I had made the decal the night before, since that didn’t have to be any particular size. Then I cut out the four pieces of the seat, stitched the decal to the top, and backstitched them all together with embroidery thread to make the seams as secure as possible when hand sewing. I added a pullstring at the bottom so the cover just slips on the seat and is then secured with the string. Baby brother helped out by taking an insanely long nap and waking up just in time for us to walk down to the party and get cake. It was a hit. He apparently wanted it put on his bike immediately and was incredibly excited about it. Mom was thrilled that he had his own logo on the bubble bottles. (And, let’s face it, at this age handmade gifts are more for mom than for child.) All around a successful birthday gift set. How badly do you procrastinate on making things for others? Or am I the only one? Are you one of those super organized people who thinks months ahead about gifts and keeps them in a closet until the gift-giving occasion arrives? My grandma’s birthday was this past week, and with wintery temperatures and storms and such this time of year what better present than a matching scarf and hat set. Wow, that was a long sentence. The hat is made from the Third Base Line’s Lotus Hat, and the scarf is just the lotus chart twice each row with a garter stitch border for five feet.